I am a self-proclaimed Francophile. After the trip I took to Paris and Champagne with Laura, Kyla, and Lauren a few years ago, I fell in love with all things French – the style, the culture, the language, the wine, the art, the fashion, and, of course, the food. I am incorrigibly drawn to striped shirts and pain au chocolat and French accents and real ice-cold Champagne (not sparkling wine, non!). Ever since that trip to Paris, I have been planning my imminent return. 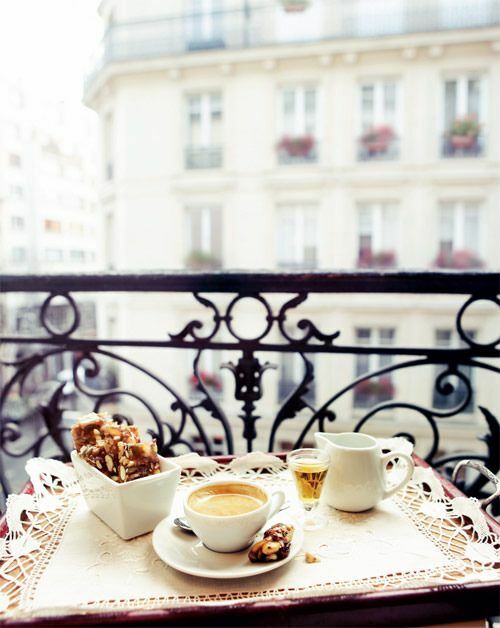 As Audrey Hepburn said, Paris is always a good idea. Last year my brother signed up to take a French class at a local community college, and the idea intrigued me. I took Spanish throughout high school and college and, in spite of the pop quizzes and grammar lessons and oral reports, I loved learning a second language. I like the way that Spanish words rolled off of my tongue, and I felt that it was an increasingly useful skill to know how to speak it. French, as a language, interested before my love for the culture began; the sounds and words seemed so romantic somehow. Anyway, after Andrew told me he was learning French, I kept learning about people and bloggers and colleagues who said they were, too. It’s like when you buy a new car and suddenly you see that make and model on every single highway and street corner – everyone, it seemed to me, was studying French. And I felt a stirring within me to learn French, too. So I took the plunge. I put the idea on my list of 2015 New Year’s Resolutions and, while browsing the internet one day, realized that a class at Dallas’s Language Institute started on January 13th (today! ), lasting through the first week of April. My calendar was completely clear on Tuesday evenings and, coupled with the fact that James and I are hoping to travel to France and Italy in the fall, I took it as a sign that I needed to register for the class. I have always liked school, so in my typical nerdy fashion, I am super excited (and even a little nervous!) for my first class tonight. I have a brand new notebook and everything, y’all. Wish me luck! Tres bien! This is wonderful! So fun! Let’s speech French together!!! Je t’aime. xo!